Debate – architecture and the city – role of students, universities, architects, citizens, and structures of power for the different dynamics and processes developed by doing, teaching, using, building and selling. Neurose23 members: Gisela Amorim, Emílio Brandão, Hugo Mesquita, Carolina Sumares, Joana barros, Manuela Lomba, Miguel Lomba, Raquel Oliveira, Juliana Gonçalves, Inês Sobral, João Mendes, Rui Bordalo, Filipa Bettencourt, Jorge Picas. 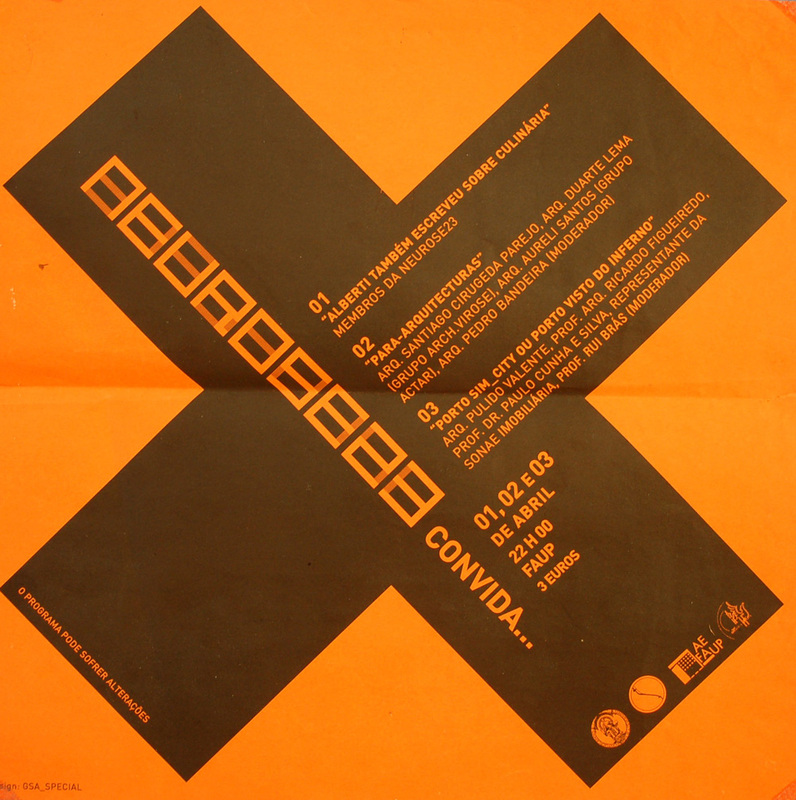 Art, domain, contamination, action/information, “The vanishing discipline” (arch.virose), reinvention, recovery, hypothesis, impossible, paradigm, experiment, mutation, metapolis, urbe, fluxes, changeability, intersection, scale, marginal, empirical, conventional, nuisance, polémic, possibility, identity.